Lil D and I have formed a Wednesday afterschool homework club. This week we had our first meeting and honestly, it was awesome. I got to see her midweek and she got to go to a coffee shop, spread out and show off her learning prowess. As we walked to our new study home she chattered about school and her excitement of being in the choir and orchestra. It was so nice to hear about her day when it was fresh in her mind. Asking how her week was after the fact doesn’t usually produce such detail and enthusiasm. First order of homework club was to order our snacks. No girl should have to work on an empty stomach. As I waited for my coffee and she, her milk, Lil D counted my change – education straight away! Next reading. Her homework diary said P28-32 – her book only had 24 pages. Erm, am I totally clueless about primary school homework? We read the whole book. And it was fun. Dino-sitting is about a dinosaur named Nutter who finds an egg then under the advice of others sits on it til it hatches. Not into a bird as he suspected but a T-rex. Lil D loved predicting what was going to happen and read each word with care. Then came her weekly spellings. In her homework diary a list of 15 words was pasted. One to fifteen – I love it when a theme comes together. Out came my alphabet magnets and whiteboard, to Lil D’s utter delight. (Does she actually like school work or is it all for the love of props?) As she sifted through the letters I timed how long it took to build each word. After each build she wrote the word on the whiteboard with its time. Hopefully the visual and physical building of the word will help fix them in her memory. So ended our first homework club. A good 90 minutes of real work that felt like fun. She asked if we would still be doing this when she was in P.5. I hope so, Lil D. What a great routine that would be. Until next Wednesday, my dear! We can relive our childhoods. We’re so excited, and we just can’t hide it! The dotes are *totally* into the same things we were into when we were young(er). As we’ve seen they love Scooby Doo. They also have a good time with Tom and Jerry, My Little Pony, Lego, Barbie and TMNT. Lil D’s playlist includes We didn’t start the fire by Billy Joel and to our eternal chagrin they all have a soft spot for Wham’s Wake me up before you go go. It occurs to us that we have an opportunity to introduce more of the things we loved as kids. We hoped too much for NKOTB but our eagerness was detected and New Kids were dismissed with prejudice. Lesson learned, all future efforts will be casual, light, chill. Saying that I really want to reread The Little Vampire with them. It stands out as my gateway book to reading for pleasure. My copy was also covered with I love Joey if I remember correctly (see above). How could they not love having a vampire friend? It has to happen. Ringpops went down a treat over summer. Lil D bought some randomly with her summer fund and shared them with her cousins. They in turn had their mommy get some more. Flying saucers next perhaps? We’ve asked Lil C’s mommy to explain “A baby’s gotta do what a baby’s gotta do” (Our first day of school encouragement via Chuckie from The Rugrats) and we’re biding our time for a screening of Count Duckula after a successful viewing of DuckTales The Movie. Why, oh why do we watch you endlessly? Is it just because you are always there? – be it on a random freeview channel, or a dvd purchased for the princely sum of £3. Old school, new versions, live action, repeats – it doesn’t matter, our dotes are hooked. By *Jinkies* Scooby, you are the mystery! The dotes simply love Scooby. Love to see him get into and out of adventures. Lil GN likes a good scary monster, so the never ending carousel of villains gives his imagination something to work with. Lil D likes to take it all in, examine the plot and question for loopholes. Lil C laughs as Scooby and Shaggy run away. There’s something for them all. 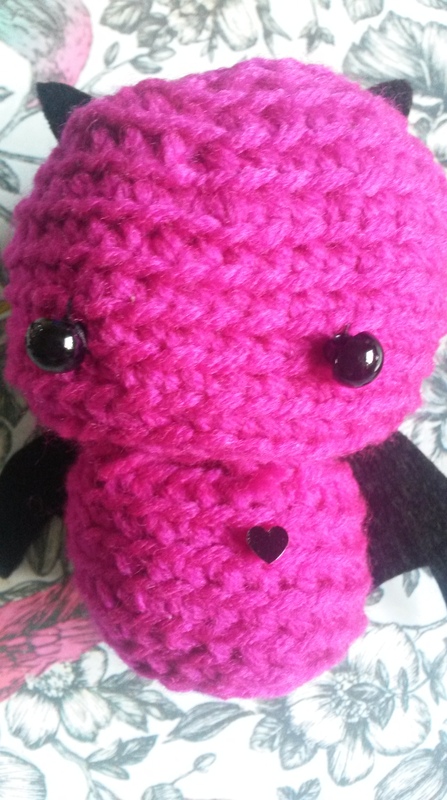 Crochet, or to be precise amigurumi (crocheting super cute stuffed creatures) is my new favourite thing. I have been searching for this, and didn’t even know it. Between us, Bear is the creative one. She’s a doodler, a crafter, a photographer, you name it, she will give it a pretty good go. Me, well let’s say that I have a realistic grasp of my abilities. But sometimes, I forget that and like to try. So last year I took up cross stitching, and enjoyed it thoroughly. There was a set pattern to follow and a limited number of stitches- it felt achievable. But it also slowly dawned on me that there are few times in life you will realise you need something cross-stitched. And only so much space to hang embroidery hoops (Note: none of my cross stitch artwork made it to the walls. Though it was cute). That realisation means I have a drawer full of embroidery thread and not much need to use it. Fast forward to July this year. In a box from the Lucky Dip Club (a subscription box that sends curated theme boxes each month) there was a little pack from Tea and Crafting. It contained an amigurumi jellyfish, and all the bits needed to complete it. Since then I have found several bloggers with patterns I can follow *though sometimes the American instructions trouble my novice skills*, and have completed a bat (a halloween series may follow), some cute bows (future dote friendly hair accessory?) and several apples (because why not?!). Anyone need a super cute Japanese style animal or anthropomorphic creature? To Lil C, on your first day of school. We hope you love school as much as you love toilet humour. We hope your teacher is as lovely as ponies. We hope your mornings are as bright as rainbows. 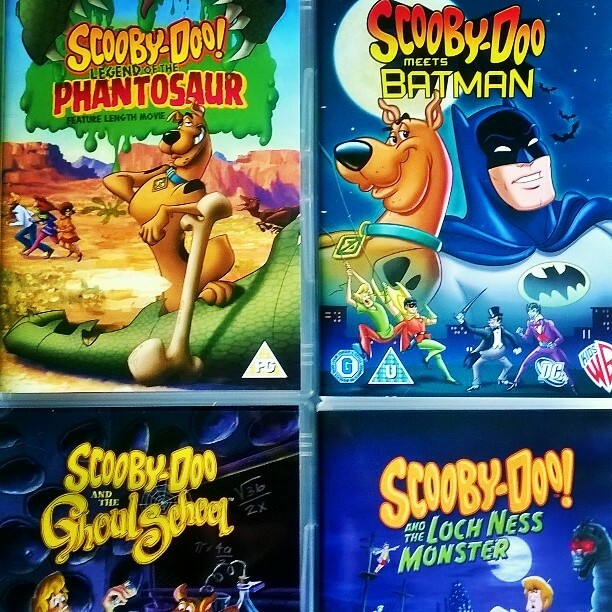 We hope your weekends are as long as Scooby Doo’s career.